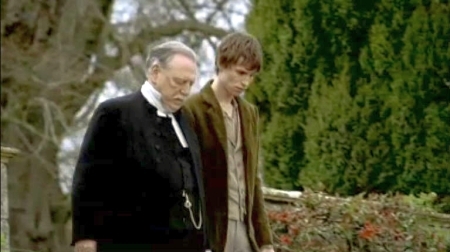 I thoroughly enjoyed the first half of the new BBC production of Thomas Hardy's Tess of the d'Urbervilles, which aired last night on PBS Masterpiece. This adaptation stars the enchanting Gemma Arterton as Tess, and Hans Matheson as Alec D'Urberville. Fancy that, I thought. Henry Reed has taught me horticulture! The flower is definitely Chaenomeles, the Japanese Quinceprobably Speciosa, or another ornamental varietyreferred to commonly as Japonica. 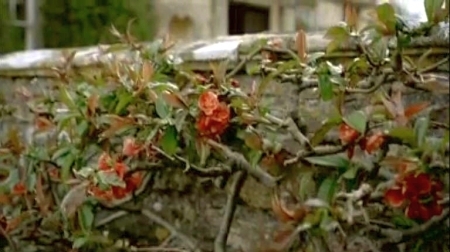 Filmed in early spring, March or April, at Hamswell House, South Gloucestershire. You can catch up on the first half of Tess at PBS.org. The program concludes this Sunday evening, January 11th.